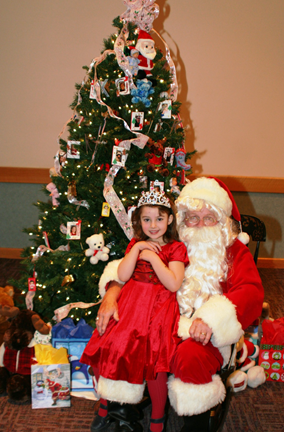 Breakfast With Santa: Get Your Tickets Early! Kiwanis International is hosting the 10th Annual Breakfast with Santa. The event, set for 9 a.m. Saturday, Dec. 7, 2013 at the Fountain Hills Community Center, will be festive for families, featuring Santa, Mrs. Claus, small gifts, entertainment and breakfast from McDonald’s. The event is a wonderful time for children to come and visit with Old Saint Nick and let him know what they have on their wish list this Christmas. This entry was posted in Area Events, Clients, Customers, Friends & Family and tagged breakfast with Santa, Fountain Hills Christmas, kiwanis, santa. Bookmark the permalink.